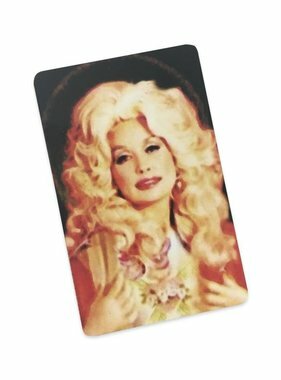 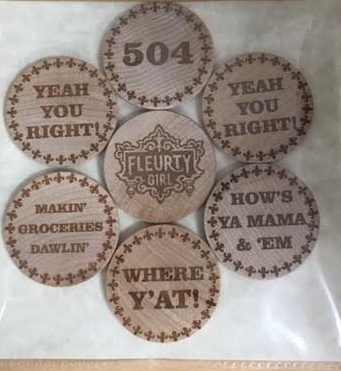 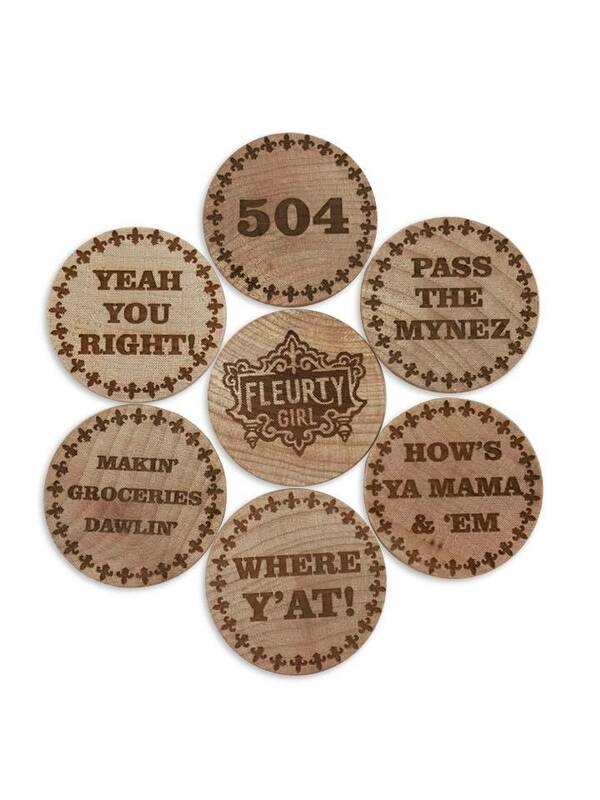 Set of 7 wooden nickel magnets with our Fleurty Girl logo, "504", "Pass the Mynez", "How's ya mama & 'em", "Where y'at", "Makin' groceries dawlin'", and "Yeah you right!" 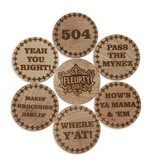 sayings. 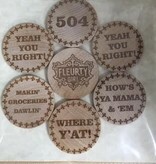 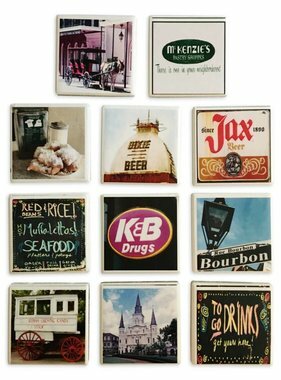 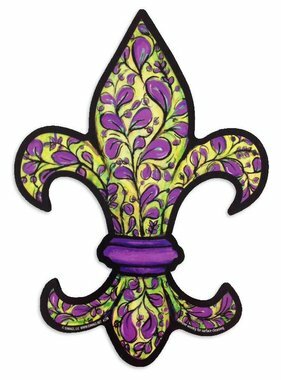 Made locally by NOLA Woodcraft Inc.